Grasses - Should I deadhead? Some say "Put the garden to bed", make it sanitary. We say, let nature insulate the growing points in the crowns. Hold off on cutting grasses back as long as possible and enjoy those flower heads, because they provide winter beauty—ice sculpture at it’s finest, and birds love the seeds in late winter. Remember to always wear eye protection when pruning. Cut back the foliage to about 4-6 inches in very early spring spring, as soon as any snow is gone, but before growth resumes. Leave about 1/3 of the plant in place. To avoid die out in the spring, leave a couple inches of leeway from growing points, which are not always obvious, so dew and frost settles a couple inches away from the crown. Small grasses that go dormant such as Japanese forest grass (Hakonechloa), Japanese blood grass (Imperata cylindrica), switch grass (Panicum), fountain grass (Pennisetum) are cut back annually, any time after they go brown, in late fall to mid-spring, as long as you do so before they start growing again in spring (you don’t want to nip the fresh new growth tips). In general, cut foliage back to 3" for those under 3' tall, and to 6" for grasses over 3' tall. Annually prune large grasses that go dormant such as Maiden grass (Miscanthus), feather reed grass (Calamagrostis), and Stipa. Pruning your large grasses does not have to feel like an intimidating task. Wear protective gear (leather gloves, long sleeves, jeans) to protect your skin from cuts from the sharp leaf blades. Wrap rope around the outside of the grass and bundle the clump tightly. Cut to about 10 inches tall. If your grass is small and stays evergreen, such as Sedge (Carex), sweet flag (Acorus), blue oat grass (Helictotrichon), Mexican feather grass (Nassella tenuissima), lily turf (Liriope), or mondo grass (Ophiopogon), just remove clumps of dead foliage, and trigger new growth, by donning some rubber gloves and running your fingers through the grass as though you were combing its hair. If clumps are badly damaged, wait until early to mid-spring to reduce the height of your grasses by no more than two-thirds. They’ll look good as new in a few months. Mexican feather grass can handle this more often than most, but try not to do this more than every few years on other evergreen grasses. 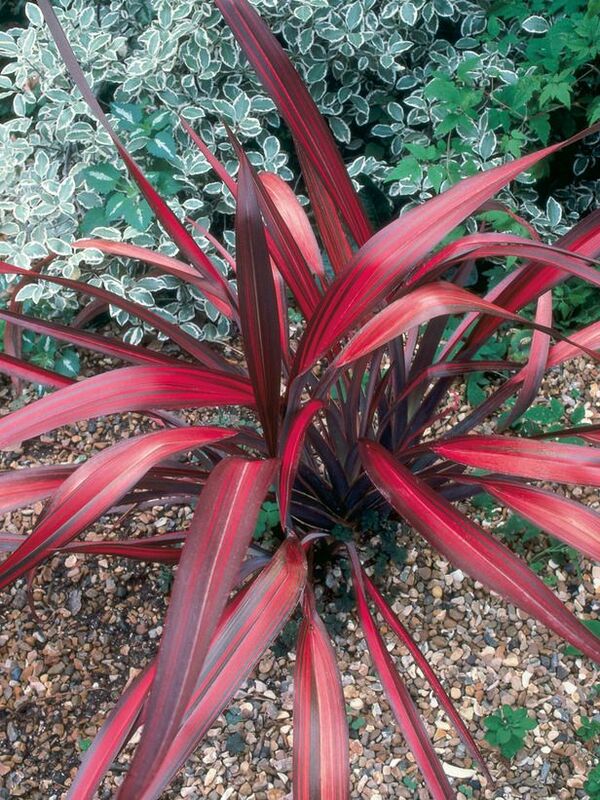 With larger “grass-like” specimens that stay evergreen such as Flax (Phormium), Cordyline, Yucca, subtlety is key. Some of the same rules apply as with trees: it’s fine, at anytime, to remove dead, deranged, or diseased parts, or selectively prune to keep plants in scale. Select the tallest, most damaged, or oldest leaves, and cut them out as close to the base as possible, aiming to remove no more than 1/3 of the plant’s leaves. If you are looking for rejuvenation, from overgrowth or winter damage, then prune in mid-spring. 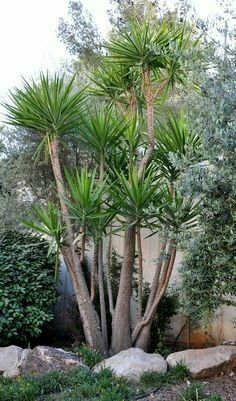 Some Yucca and Cordyline develop a trunk, if you do not prefer this look, you can cut the plant about 1/3 of the way down the stem to force it to re-sprout from just under the cut point, it may re-sprout from the base as well. Use a sharp knife, axe, sharp shooter, etc. to hack the clumps into wedges or smaller segments. Pry out the wedges and keep the root ball intact. Remove dead pieces from the clump. Replant, keeping mature size in mind. Water thoroughly, as you would any new plant. You can propagate from your clumps like this every three to four years, even if they are perfectly healthy and spaced appropriately. Plan to put down a fresh layer of mulch after pruning, to hide the debris that is hard to rake up. Grasses are low maintenance, but not no maintenance. Keep in mind that grasses thrive in low water, low fertility areas, so do not provide too much water or fertilizer, this will result in grasses that are weak and don't stand up the way they are supposed to. ©2011 Wabi Sabi West.Website designed by Back40 Design & managed by Javelin CMS.